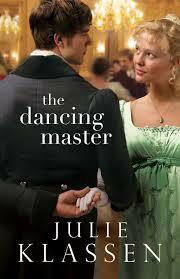 London dancing master Alec Valcourt is forced to relocate his family and business in the aftermath of a scandal. He moves his mother, sister, and himself into his uncle’s rural, small-town residence of Beaworthy, Devonshire, England. But he soon learns that dancing has been prohibited in the town, and that his appearance and occupation has stirred a deep-set wound. Mrs. Amelia Midwinter, the matriarch and local beneficiary responsible for the taboo on dancing, must deal with her personal wounds most of all–especially as her daughter, Miss Julia, and the new dancing master begin to develop a growing fondness toward each other. The story is reminiscent of Footloose, yet set in the charming English historical landscape of the early 1800s. At times the drama is almost “soap-opera-ish” as the character’s deal with deep feelings amongst the uncovering of long-past scandals and deep secrets. But there is also a lightness to the writing as God’s grace and love become mending threads, bringing healing, reconciliation, and fresh identity in replace of the painful memories and present conflicts. This is the first of Klassen’s novels that I have read, and I particularly like her writing, historical detail, and the depth of the characters’ emotions. However, I would have liked a bit more depth into the stories of some of the supplementing characters (a couple of whom I favored over the primary protagonists). Also, the pace of the narrative overall could have been a bit quicker/smoother. That said, I am nevertheless curious to read Klassen’s other historical novels, and found this to be an enjoyable and relaxing read. 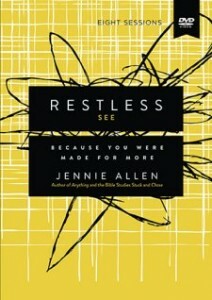 I received a complimentary copy of this book from Bethany House. 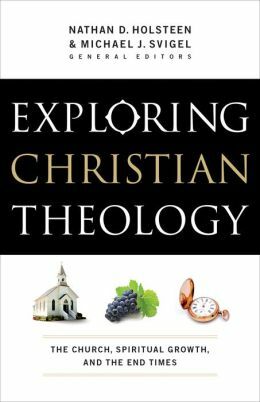 This is not a typical theology book: it is written for a popular audience in a fun and accessible style while also presenting major theological issues within their historical contexts. It has two sections: the first addressing ecclesiology (the study of the church), and the second featuring eschatology (the study of the end times). 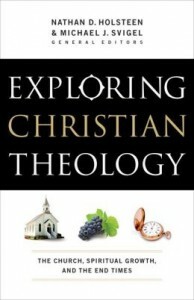 The title “Christian Theology” may connote a larger range of theologies, so I want to emphasize that ecclesiology and eschatology are the primary focuses; other doctrinal theologies (say, the discussion of the Trinity, or of the work of the Holy Spirit, and so forth) are not discussed in depth as they are beyond the intended scope. Also, the application of the theologies at hand are highlighted more so than the theologies themselves, which is what makes this text unique and special. The first section I particularly enjoyed. It is concise, engaging, and draws examples from pop culture in order to bring application and relevance to each subject. The examples are appropriate for the intended audience (lay-persons who want to know a bit of theology), and I think the authors have done a great job of sharing an unbiased perspective and encouraging involvement and appreciation within and for the church body. The section on the end times could have provided a more thorough overview of the major positions, and also could have discussed the implications of each eschatological position. I did not enjoy this section as much, although the writing is still very accessible, and the overall message is positive (though a bit biased toward Dispensational Premillennialism). I appreciate the authors’ focus on the big picture rather than on the details. The historical chapter within this section is also very good. Overall, this is a great book for non-scholars who want to get a taste for theology, or could be read for encouragement or general spiritual growth. In eight 20ish minute sessions, passionate Bible teacher Jennie Allen encourages those who feel spiritually restless that God does have a purpose for their lives. The series begins with understanding our restlessness and God’s plan, then moves into discussion of our personal gifts, times of suffering/hurt, the places He has us, the people who surround us, our passions, and a closing of how this all fits together. Each video session begins with participants from Allen’s female Bible study candidly sharing answers to questions as the camera cuts creatively from one to the next. Then the film delves into the core lesson where Jennie (in more of a lecture/sermon style than an interactive Bible study) tells stories, shares from the Bible (especially focusing on the story of Joseph), and preaches words of encouragement and inspiration. Allen’s story-telling is great, and is really the heart of the lesson. Despite the content being very good, I felt like something was missing. I received this DVD for review by the publisher without the corresponding study guide, and I imagine the study guide would have made the difference. As it is I found the DVD only “okay”–I just was not emotionally/mentally prepared for each lesson or for the author’s very passionate lectures. The intensity, in fact, was a bit much for me; and the cohesion (probably brought together by the supplementary materials) was lacking. Without knowing what the study guide and leader’s manual entails, I do not feel strongly enough about this series to recommend it, but I also expect that this may be a great video for any women’s (perhaps even men’s) Bible study using the DVD as supplementary material–that is, with an engaging lesson/discussion facilitated by a local teacher/leader, followed by this video as an encouraging “wrap up” of the “real” lesson. I received a complimentary copy of this DVD from Thomas Nelson. Deb DeArmond uses the biblical foundation of marriage to provide a helpful guide to navigating and improving the women-in-law (women-in-love) relationship. Some of the topics included are: love versus law, the biblical precedent of leaving and cleaving, strengthening communication, developing trust, setting boundaries, and helping the man-in-the-middle. Each chapter is engaging, succinct, and includes a self-assessment quiz, journal questions, and a Scripture-based prayer. The “workbook” area is especially good! 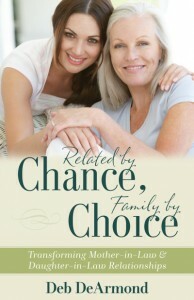 I was attracted to this book because I have been wanting to improve on demonstrating love to my MIL. We have a pretty good relationship, but I am a bit reserved and do not always know how to open up to show her the love I feel for her. This book did more than that for me–it has completely changed my perspective of the MIL/DIL dynamic. I feel I understand and love my MIL on an even deeper level after hearing DeArmond’s stories, wisdom, and completing the workbook sections at the end of each chapter. I only wish this had been a resource to me before or earlier on in our marriage! In the past when I have considered the story of Jesus defending the adulterous woman in John 8, I have wondered, “What was He writing in the dirt?” Today as I was doing my normal household work, I recalled this story with a new focal point: He was writing. The what does not matter so much as the action itself. It is interesting to me that Jesus does not inquire about this woman’s past or present circumstances. She had been caught in the act of adultery–an especially big deal for her setting, which insinuates all is not well with this woman without defining whether the problem is within herself or brought on by an external force (e.g. in the matter of sexual abuse). Beyond her punishable actions, she likely has emotional hurts, needs, and a life reflecting those areas of brokenness. As God, Jesus would have known these things; as man, His knowledge of her circumstances may have been limited. Either way, it appears He chooses to see her future rather than her past. There is a parallel here to the story of creation: man being formed from the dust compared to Jesus writing in the dust. Writing is an act of creation. It is the release of a word. In the beginning God created by releasing His word (and BTW the word for spirit/Spirit is the same as the word for breath in both Hebrew and Greek, so the process of speaking words is also a release of His Spirit). Jesus now re-creates this woman’s life in a similar manner. He draws/writes in the dirt His word regarding the situation, or perhaps about her, or perhaps about Him. And through this His Spirit is also released: a spirit who desires creation, re-creation, reconciliation, and love beyond any other thing. Jesus’ judgment for this situation–His ruling–overlooks the problem of the past/present in order to present a vision of the future. The further surprise is that although Jesus is without sin, He too is not willing to stone this women. He says, “Neither do I [condemn you]. Go and sin no more” (verse 11). It is natural that the sinful religious authorities be denied the right to stone her for her sins; but Jesus, having true authority and the prerogative to carry out retribution, chooses re-creation instead of extermination. If judgment is defined as making wrong things right, His judgment is against the accusations and religious traps of these particular religious leaders and for the restoration of this woman’s full being (her internal feelings, and her external actions). Love propels this restoration; accusation solidifies the problem and hinders positive growth. Love carries the authority to say, “Go. Be renewed,” because it provides a vision for that future renewal. 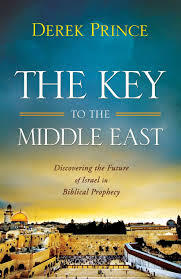 Review of The Key to the Middle East: Discovering the Future of Israel in Biblical Prophecy by Derek Prince. Derek Prince (1915-2003) provides a layman’s guide to understanding Israel as the central foundation of the Bible. As he emphasizes, the Bible was written by Jewish authors (both Old and New Testament), takes place primarily in Israel (including all the events within the gospels save the brief flight to Egypt), and both historically and thematically is focused on the people of Israel, even into the future city described in Revelation (16-19). Prince describes the history of Israel, God’s plan in scattering and regathering the people, the Christians’ role in the midst of this, and also shares from his own experiences as a Briton who lived for a time in Israel. This was previously published twice before under different titles, and has been updated by the staff of Derek Prince Ministries. I am not familiar with either of the earlier editions, but do like this one. The writing is conversational, and tends toward only the basics; but even so, I did learn a few things (and this is a topic I have read quite a bit about). Most interesting to me was Prince’s view on “the times of the gentiles”. I have read differing scholarly opinions on whether the “times of the gentiles” have been fulfilled–some saying that the Six-Day War marked the fulfillment of this prophecy, and others insisting (or simply assuming) it has not. Prince describes that the Six-Day War “marked the beginning of the end of those times” (101), which is to say that the fulfillment is a gradual process. This is intriguing, and something I will want to explore in more depth. I also loved Prince’s note that Jeremiah 31:10 reads: “He who scattered Israel will regather them in kibbutzim” (125), which–as he describes in more detail–is just what we are seeing today! This book is thought-provoking throughout without being too much for readers who are completely new to exploring how an Israel-centric view of Scripture can transform the Word and bring richness and cohesiveness to the Bible as a whole. In fact, those who know little about Israel will glean the most from reading this. There is also a “Chronology of Events in Israel”–a thorough and beneficial list of events between 1947-2012.